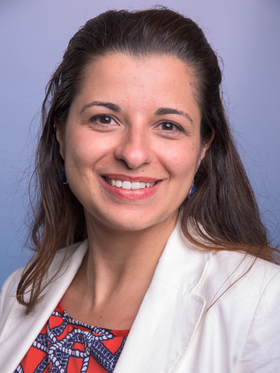 Dr Daniela Ferreira, Senior Lecturer in Respiratory Infection and Vaccinology - Faculty of Clinical Sciences and International Public Health, Liverpool School of Tropical Medicine. It all began when Dolly the sheep was cloned and the human genome was sequenced. These remarkable events were all over the news in Brazil and triggered within me a deep fascination for Biology. I knew there and then that I wanted to become a world-renowned scientist. I started to endlessly consume the then available VHS tapes and newspaper articles relating to the topic and proceeded to pursue a BSc in Biological Science at the best university in Latin America: the University of Sao Paulo. Whilst undertaking my full-time BSc course (5 years in Brazil), I was also working as a laboratory research assistant at Butantan Institute (the governmental vaccine production unit). I wanted to acquire extensive laboratory experience, alongside my BSc, which would place me in a very good career position going forward. The project focused on the development of new vaccines against pneumonia and was funded by the Brazilian government. By the time I finished my degree, I had also completed 5 years’ worth of experience in research; progressing straight to a PhD was a natural choice for me. My doctoral research continued in the area of mucosal vaccines, and I was the winner of the prestigious Robert Austrian Award (top award in vaccinology) on Pneumococcal Vaccinology by Wyeth in 2008. I completed the final part of my PhD thesis at Leicester University as part of a visiting research fellowship (sponsored by the Brazilian government). I really enjoyed the research environment in the UK, and meeting my future husband there was the icing on the cake! I returned to Brazil for my viva and started to apply for jobs worldwide. I had a strong CV, with a very good number of publications and research expertise; but I was low in confidence, in part due to the fact that I was moving countries and submerging myself into a new culture. I applied for a research assistant post at LSTM. At the interview, I was told that I was overqualified and that a new position was opening up which I should apply for. When the post of post-doctoral research scientist did come up, Professor Stephen Gordon (then at LSTM) flew me back to the UK for the interview and I was offered the job. In the role of post-doc, and latterly senior post-doc, my work and mentorship of junior colleagues in the laboratory was key for the development of our unique controlled human infection model with pneumococcus. Building on this achievement, in 2015 I successfully applied for a place as a Lecturer on LSTM’s tenure track scheme: the Career Track (CT). Participation in this unique-to-LSTM scheme involves identifying a set of targets which, upon completion, enable you to transfer to a permanent contract at the end of a three-year period. Many variables came together to enable me to submit a successful application including an amazing mentor, Professor Stephen Gordon, who believed in me and advised me on a range of key actions including how to gain local, national and international exposure. At the time, I thought he was simply doing his job as a mentor. But my experience now tells me that he was actually doing a substantially fantastic job as a mentor. Soon after securing my place on the tenure track, I applied for promotion to senior lecturer. By that time, I had over 30 publications mostly in high impact peer-reviewed journals, and successful high value research grants, including a Medical Research Council/ Foundation of Sao Paulo – FAPESP grant with my Brazilian collaborators; a £1.6 million grant with the Bill and Melinda Gates foundation looking at the effect of the flu virus on pneumococcal carriage; and a £2.3 million grant with Professor Gordon funded by the Medical Research Council, looking at healthy responses and host susceptibility to pneumococcus. I was also managing 15 research staff, and The Experimental Human Pneumococcal Carriage (EHPC) collaboration with over 30 partners, which I currently lead at LSTM. My team subsequently won The Chief Executive’s Award at the Make a Difference Awards 2015, granted by the NHS Royal Hospital Liverpool, for our innovative work and its impact on patients across the world. Having a good mentor has made an impact on my career. I am a mentor myself, currently supporting a large group of scientists, clinicians, research nurses and PhD students. Some members of my team have returned from maternity leave or are currently on shared parental leave, and I understand the importance of providing collegiate support and key advice for enabling career progression. I also participate in our faculty Athena SWAN team. Our engagement with the Charter has provided us with a focus and impetus for existing gender work, helping us to further understand the experiences of our colleagues and the barriers they face, and strive to develop and promote good practice. I have recently secured further grants with collaborators and I am about to complete an important clinical trial funded by the Bill and Melinda Gates Foundation, in which we are investigating the effects of the Live Attenuated Flu Vaccine given annually to children in the UK on pneumococcal nasal carriage. As an established leader in the field of controlled human infection models and vaccinology, my future plans include applying for promotion to Professor and becoming part of the next generation of LSTM young female leaders, delivering excellence in research and significant impact on the respiratory health of those living in low and middle-income countries.